Thinking about repairing or making your own Auger? 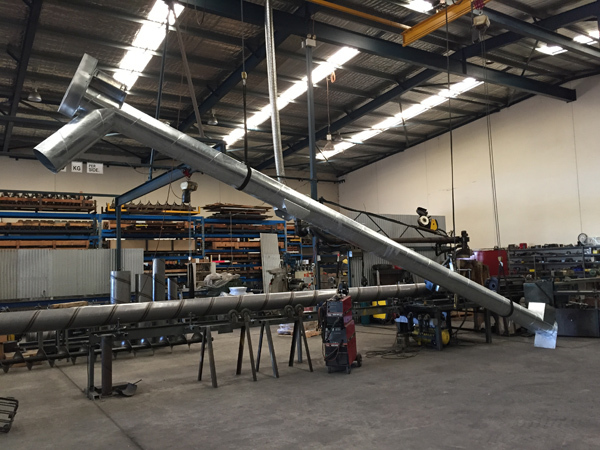 Here at Auger Supplies we stock all the necessary components you require to construct your own auger, or if you lack the time, equipment or know-how, we can manufacture the auger for you. STEP 1 – Check out the diagrams below to get an idea of what base design of auger you require. STEP 2 – Determine whether you want to get a full kit (good for those starting from scratch), or a part kit (good for those salvaging, repairing, or with access to lathe etc to manufacture some of your own parts). so you know exactly what you’re getting! STEP 3 – See if there any optional extras you require. WHICH TYPE OF AUGER DO YOU REQUIRE? A “Cage-Frame Pickup” is ideal for use in a silo boot or a hopper. Auger comes complete with inner cage frame, but if using with an open hopper you will need to add an outer safety mesh to comply with safety requirements. KIT INCLUDES – Auger Barrel, Template for outlet shute, Flange, Removable Endplate, Bearing assembly, Nuts & Bolts, Cage Bush, Cage Frame arms, Pipe, Flighting, Drive stub with keyway, End stub. An “Enclosed Pickup” is best supplied where the customer is going to fabricate their own hopper. No inlet is supplied. KIT INCLUDES – Auger Barrel, Template for outlet shute, Flange, Removable Endplate, Weld on Endplate, 2 x Bearing assembly, Nuts & Bolts, Pipe, Flighting, Drive stub with keyway, End stub. KIT INCLUDES – Auger Barrel, Template for outlet & inlet shute, Flange, Removable Endplate, Weld on Endplate, 2 x Bearing assembly, Nuts & Bolts, Pipe, Flighting, Drive stub with keyway, End stub. Or: with Rectangular inlet includes Endplate Hopper set. An “Open end Pickup” has no barrel at the pickup, nor a bearing or bush assembly holding the auger central. Normally this style of auger is used in field bins where the drive stub feeds through the bearing which is attached to the side of the bin. KIT INCLUDES – Auger Barrel, Template for outlet shute, Flange, Removable Endplate, Bearing assembly, Nuts & Bolts, Pipe, Flighting, Drive stub with keyway, End stub. A “Trough Auger” is perfect for applications where you require a long horizontal auger run (such as under silos), or where the product being conveyed has the potential to bridge or jam in a cylindrical casing. Normally supplied with lids, the customer usually DIY’S inlet and outlet shutes to match application. Trough Augers are made in bolt together modules up to 3m long with a hanger bush or bearing at no more than 3m intervals apart. 6″ is the smallest trough size possible. KIT INCLUDES – Auger “U” Troughs, Galvanised Lids, Flanges & Removable Endplates with Bearing assembly for each end, Joining flanges for each module, Nuts & Bolts, Pipe, Flighting, Drive stub with keyway, End stub, Joining Stubs for each module, Hanger Bearing assemblies for each module. Barrel Saddle Support – a thick rolled plate to weld onto the barrel, used where extra support is required. Motor – How is your auger being powered? Electric, hydraulic, petrol? Belt or chain drive? GOT QUESTIONS?? CONTACT US FOR FRIENDLY ADVICE & SERVICE! !